Aiptasia in residential aquariums will quickly be wiped out due to the wide adoption of Bergia Nudibranches now available in Canada. The key benefit of this amazing animal is that it only feeds on Aiptasia, accordingly making it a safe addition for the rest of the tank. Aiptasia has been a sore-spot for home aquarists for decades. Thankfully, the Berghia is very small in size and can get into those tiny spaces, without harming coral or liverock. 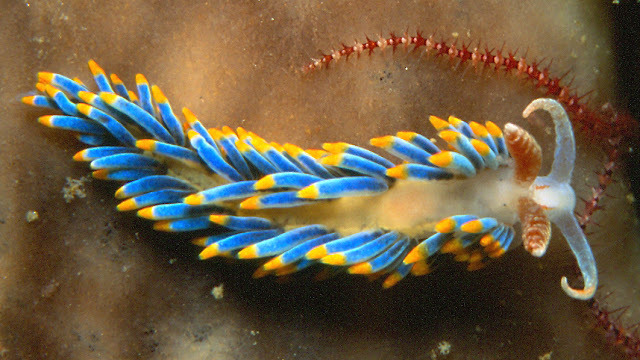 Nudibranchs are the only species able to consume the entire aiptasia, and therefore prevent aiptasia regrowth and spawning. Another benefit is that the Berghia are so small, they won't add bioload to the tank, or affect the quality of the water. Berghia are quick reproducers too, due to their hermaphroditic nature. Mature adults can lay eggs every day. On a side note, you have to be aware that the Berghia feeds solely on Aiptasia, and for that reason must be monitored, as once the eradication of the Aiptasia happens, the creature will starve to death. Berghia are very smart little creatures. They have sensory organs known as rhinophores thata are able to use chemicals to find the location of the Aiptasia. This means that Berghia can find even the tiniest Aiptasia, not visible to the naked eye, and wipe out the parasite completely before it reaches adulthood. Berghia are able to eat the Aiptasia successfully, because of strategies it employs to approach the Aiptasia without the parasite feeling endangered. This prevents the release of the tentacles and larva, meaning it prevents new reproduction from occurring. Berghia is also harmless to the other fauna and flora in the aquarium and primarily feed at night, which won't affect the beauty of your tank during the day. The recommendation is for every 100 gallons of water that 8 Berghia be introduced to the tank, for a moderate to severe infestation of Aiptasia. If there are only a few Aiptasia anemones present, it is not recommended to add Berghia to the tank, as it won't have enough food to sustain itself, and will starve to death. 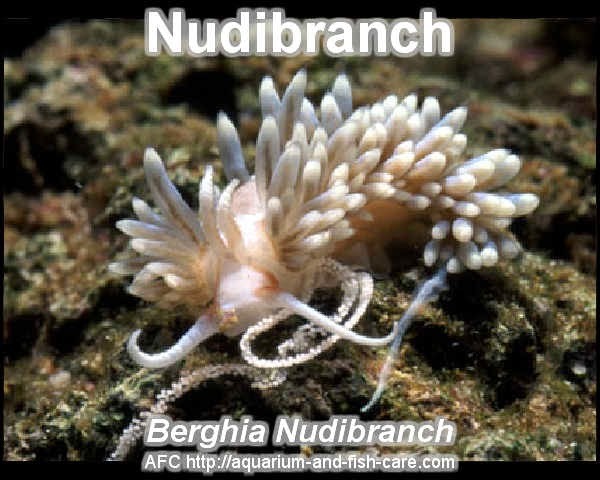 Berghia are a species of sea slug and need the appropriate environment to thrive and survive in. Keeping this in mind, there are some areas where this sea slug won't be able to help, such as if an infestation occurs in the tubing, powerheads, or the sump. These areas should be kept clean at all times by you, the reef owner to prevent the spread of Aiptasia. How long will it take for Berghia to wipe out the Aiptasia infestation? This primarily depends on how bad the infestation of Aiptasia is, and how many Berghia have been introduced into the tank. It should be assumed that for 8 Berghia, two to three months would be an appropriate amount of time. It's so important to not get discouraged if you don't see immediate results. Berghia need time to acclimate to their new surroundings before they are able to wipe out the infestation. There are many species of animals that are considered quite safe for reef aquariums, however, this is not always the case. Here are some species to avoid in an aquarium containing Berghia. Avoid any nocturnal species that hunt near the liverock, or coral, such as butterflyfish, filefish, wrasses, and some species of dotty backs. Other species which prey on Berghia include peppermint shrimp, coral-banded shrimp, and some invertebrates, such as the arrow crab, sally lightfoot crab, pom pom crabs, and emerald crabs. Aiptasia can consume Berghia if the sea slug is placed directly into its mouth. Therefore, take precaution when adding the Berghia into your reef tank. In conclusion, nature has answered the Aiptasia infestation with a natural predator, the Berghia. As long as it acclimates to its new surroundings, it will eradicate the Aiptasia infestation, and keep the population under control. It is so important to keep the tank well cared for, to ensure the health of the creatures that inhabit the reef. With attention and care, the saltwater aquarium can be danger free of unwanted parasites, and be a beautiful addition to any home.